Denis Guihen was born in 1877 in the Kangaroo Valley, NSW, the third son of Patrick Guihen and his wife Mary, née Dooley. In 1903 at Sydney, he married Olive Agnes Shanaghan (died 1956, aged 74). They had five daughters, not all of whom survived infancy, and one son. He died at Newtown on 31 October 1917, aged 39, and was buried in the Catholic section of Rookwood Cemetery. In 1900 Denis Guihen joined the tramway service in Newcastle, NSW. He transferred to Sydney and became a prominent member of the Tramway Employees’ Union. He lost his job after the tramway strike of 1908. He joined the Trolley and Draymen’s Union, becoming Assistant Secretary and delegate to the Labour Council and the Eight Hour Committee. From 1913 he was Secretary of the Hospital and Asylum Employees’ Union. He was elected president of the Trades and Labour Council in 1916 and appeared at the Arbitration Court as an advocate for various Trade Unions. He was a member of the militant section of the Political Labour League (PLL). He was anti-conscription in World War 1. 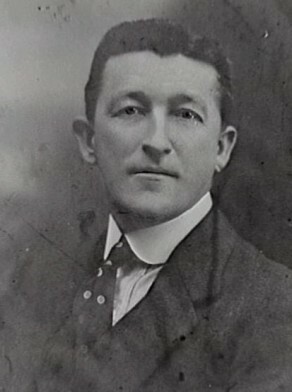 Denis Guihen was Alderman for Belmore Ward, 1 December 1915 until his death on 31 October 1917. He was replaced by Richard Bramston. Guihen was a member of the Health and By-Laws Committee, 1916-17 and the Electric Lighting Committee, 1916-17.